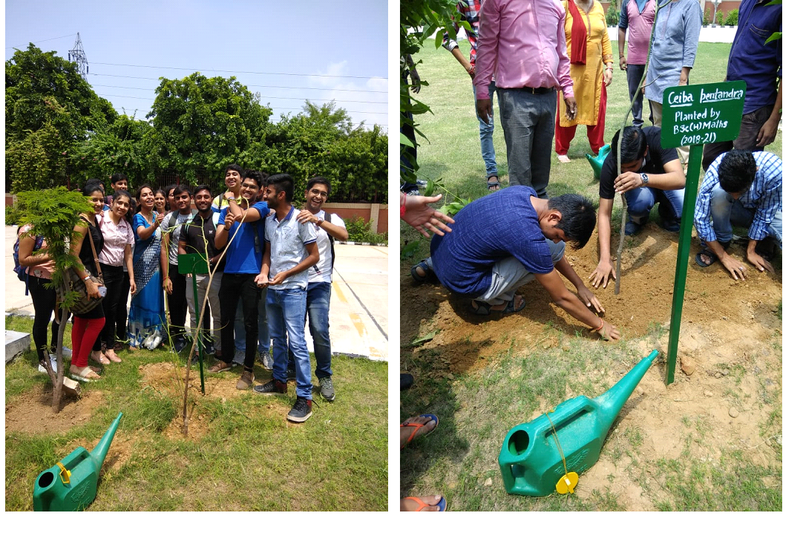 A tree plantation drive was held in the college premises on 10th Aug, 2018. 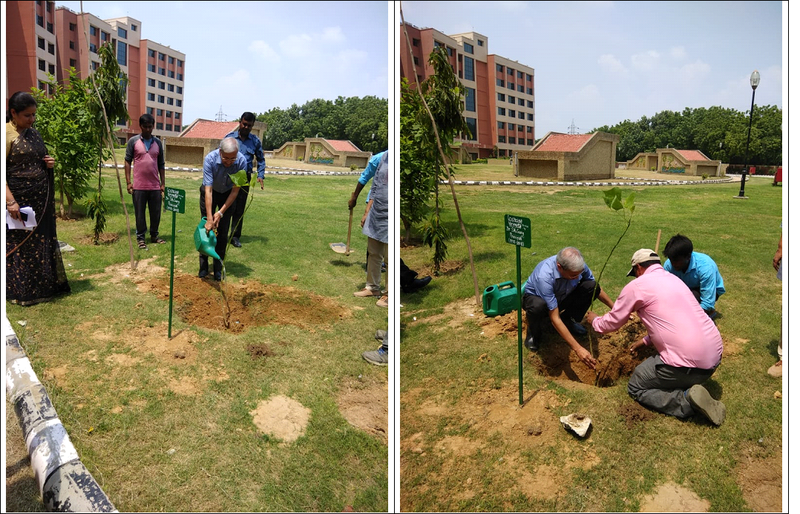 The duel objectives of this drive were to enhance the tree cover on the campus and to sensitize the students towards importance of trees. 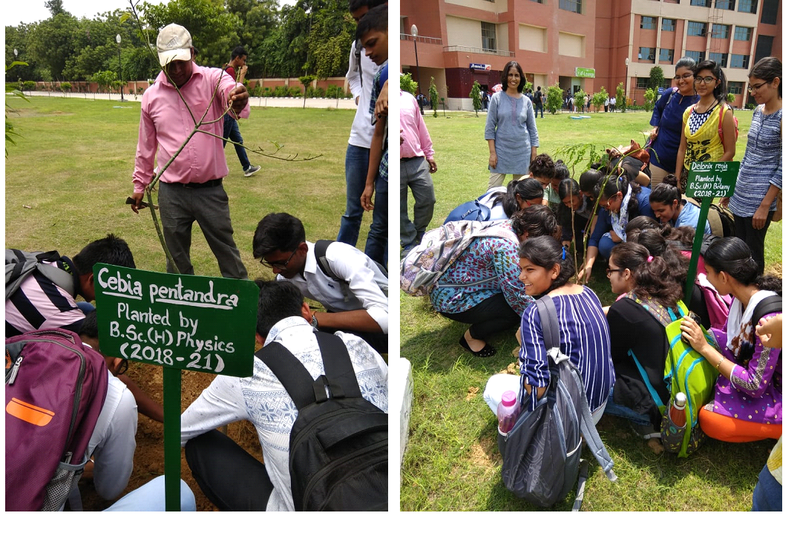 In this program, students of first year classes of all courses were made to plant a tree each at the designated place. Each tree was marked by a plate mentioning the name of the tree, and the course and the batch that planted it. The classes take the responsibility of nurturing their tree. This also creates among the freshers a sense of belonging to their new alma mater. Time slots to different classes were given between 11am to 1pm. 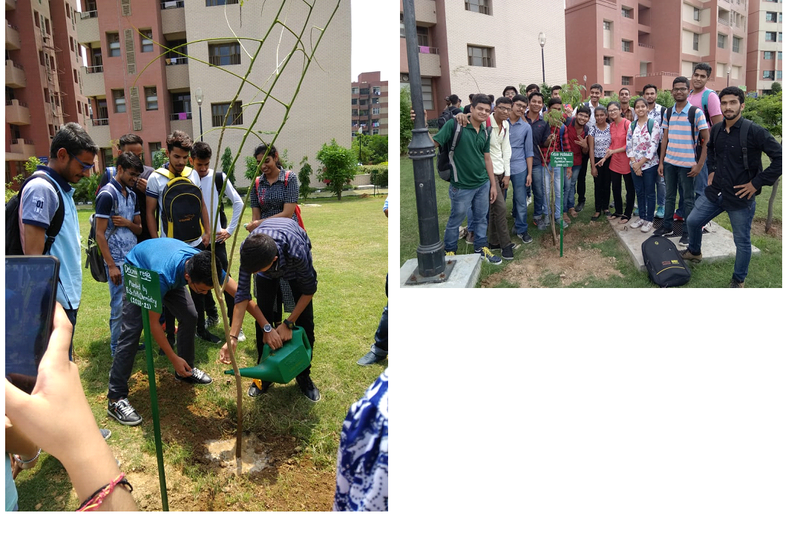 Students came to the site with their teachers as per the schedule and planted the trees. They were given information about the name and type of tree, colour of its flowers, its blooming season and about what are they expected to do to take care of it. 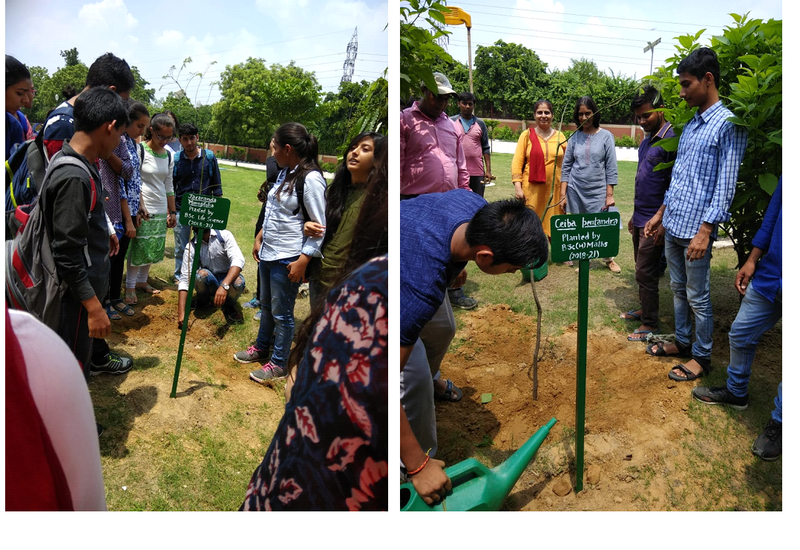 On this occasion one tree each was also planted by our guests Ms. Prachi Kaushik, Chairperson Vyomini and representatives of Government of Delhi and one by our respected principal Dr. SK Garg. In all 20 trees, were planted on the occasion, all of which are flowering trees. 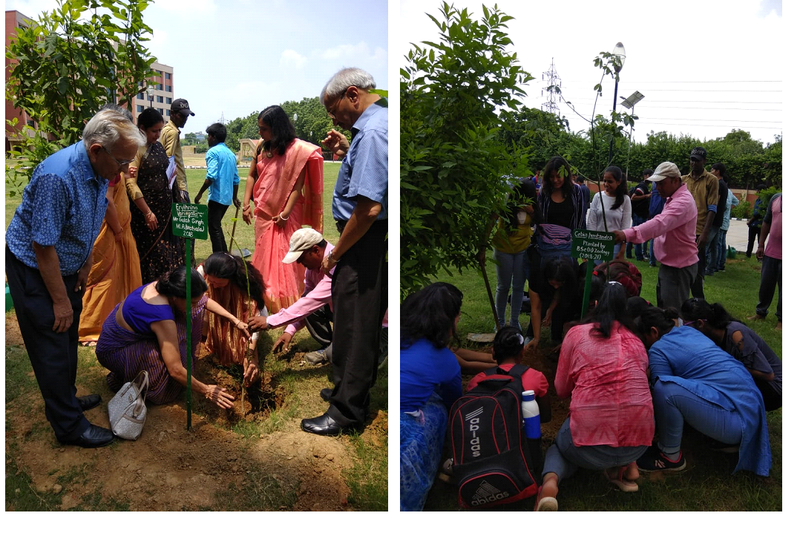 The trees that were planted were Gulmohar (Delonik Regia), Jacaranda (Jacaranda Mimosifolia), Kanak Champa (Pterospermum Acerifolium), Kurejia or Mexican Silk Cotton (Ceiba Petandra) and Tota (Erythrina Variegata).